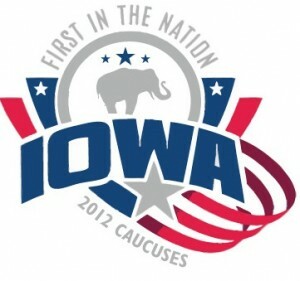 As the Iowa caucuses, the first official vote of the 2012 primary season, come to a head, the republican candidates are working are to make their case to communities across the state. Whether via local cafes, truckstops, social networks, web sites, newspapers or polls everyone want to get their finger on the pulse of how people feel in each city and community across the state. It is January 3rd, 2012. We have 10 more months and 49 states to go! In the 2012 election season what role will local, mobile and social play out in the presidential election? We saw Barak Obama put social media to full use in 2008, but in 2012 with 75.7% of the population uses mobile phones, (Source: eMarketer, August 2011) the stakes in 2012 are even higher. Mobile phones will provide a real-time flow of candidate messages, voter sentiment and location information unmatched in any other election. Social networks like Facebook and Twitter will be a main channel for sharing and broadcasting election information, much like 2008, but in much higher volume. Local places informationwill provide hotels for campaigns to sleep, restaurants to eat, and places to gather and make stump speeches. Other hyperlocal content such as polls, neighborhood, weather and news will be essential to provide context for campaign efforts. Any way you look at it, local, mobile and social will be amplified in 2012. How will you be putting it to use during the 2012 presidential campaign?